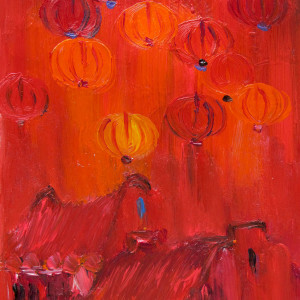 Nature inspires masters of Asian contemporary art to glorify it in their works. 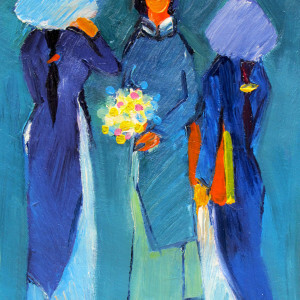 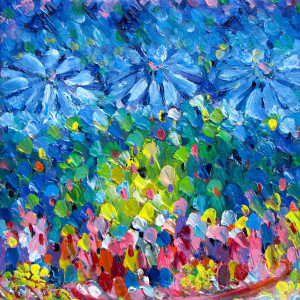 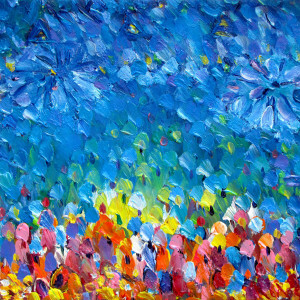 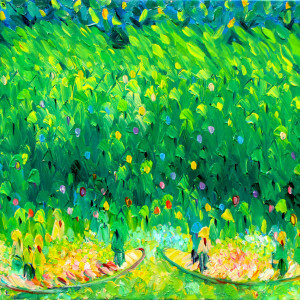 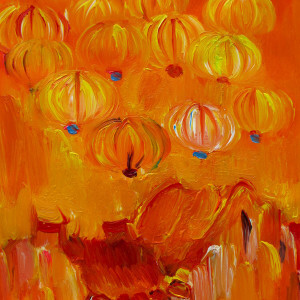 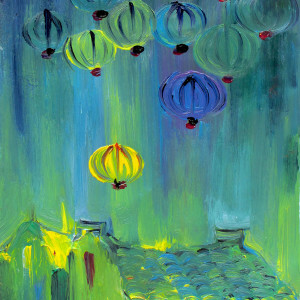 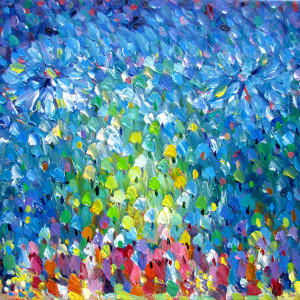 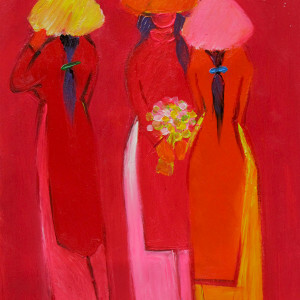 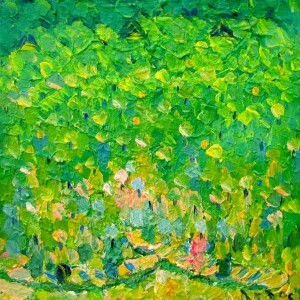 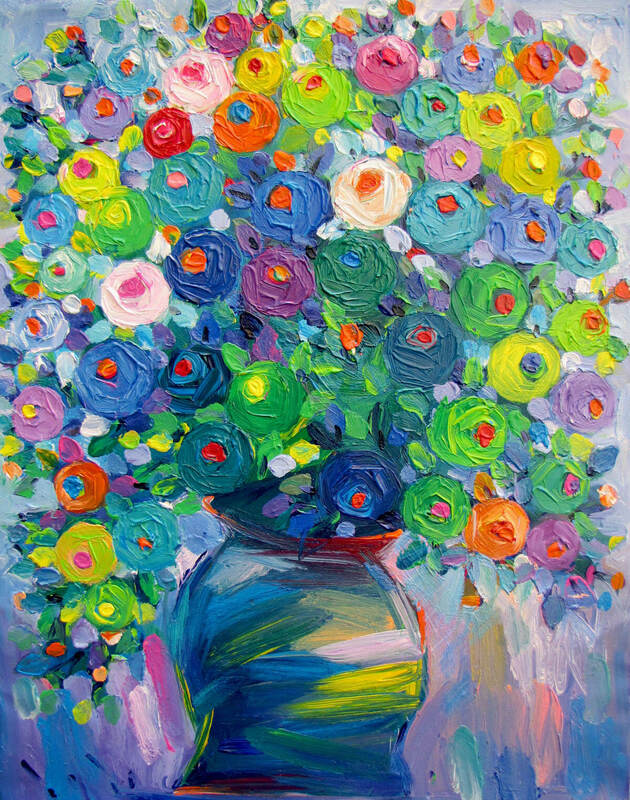 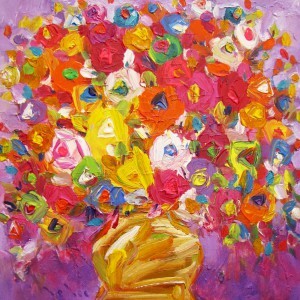 Thus, flowers are among the most popular subjects of paintings in Vietnam. 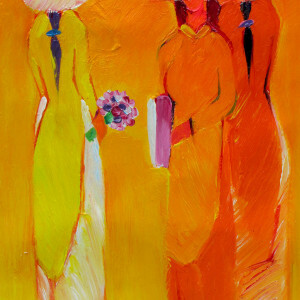 Le Loc has perfectly expressed their essence in picturing them. 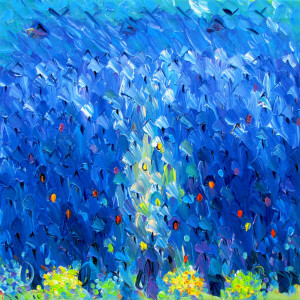 The artist does not show the details of the plants, but concentrates on the vigorous energy they express.